I am writing to thank you. Not just broadly for Snap Judgement and The Moth and the late, great Vinyl Cafe. No, I want to thank you specifically for your contribution to my work as a novelist. My strategy for writing fiction involves a fascination with characters, and a great deal of wondering. A great deal of time with sentences that begin, "What if...?" And then, er, a kind of creative plot-building supercollider. 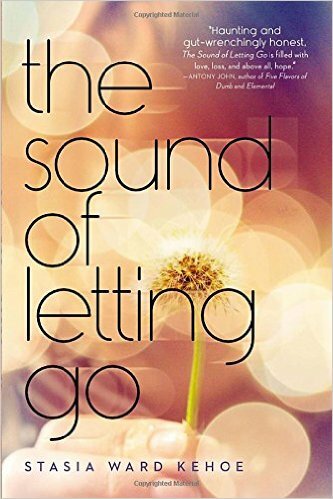 An example: My 2014 novel, THE SOUND OF LETTING GO, began with a love of jazz and a dream of writing a novel about a tough, cool girl trumpet player. An interesting notion but not quite a story. Then, driving to pick up my kids from school one day, I heard an interview with an author discussing his autistic son. Lightbulb! What if my trumpeter diva lived in a house where silence, constancy, lack of "jazz improvisation" was the only way to maintain peace for an autistic younger brother? What if the point-counterpoint of the story was sound versus silence? Making noise (being heard) and staying safe from the emotional and physical outbursts of an adolescent struggling with developmental disability. Research, writing, rewriting and two years later...a book is born! I am not quite ready for a public discussion of my current work-in-progress but I can assure you the example above is not unique. Thank heavens for a recent report about Velvet Underground founding member, the late Lou Reed's archive coming to the New York Public Library. Oh, and a feature on how insects can be used to track the health of national parks. Essential elements of a prep school thriller, right? Well...yeah. "What if" is a critical place to begin a story. But then comes the how and the when and the why. Listening to NPR puts me in the near occasion of a multiverse of ideas to which, if I truly listen, I often find a concept or a connection that moves me farther along the path from concept to fully-fledged novel. I suppose everyone fleshes out ideas--does research--in different ways. But, for me, that meta-state in which I am driving along, holding my novel lightly inside my brain while letting myriad reports and interviews and revelations flow into my open ears, is a gift I do not take lightly.